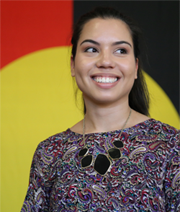 There are numerous scholarships available to Indigenous Australians studying at The University of Western Australia whether you are a commencing student or currently enrolled in an undergraduate degree. This listing is complete as some scholarships are not available every year but will continue to be updated. For further information contact Gabrielle Garratt or Marilyn Strother at the School of Indigenous Studies or consult the UWA Scholarships website.